Now that you have a TV that is the envy of all your friends, the challenge is to get it up on the wall safely and securely. Introducing the F6080, a fixed mount for flat panel TVs from 60" to 100" that weigh up to 200 pounds. Support is provided by a solid steel infrastructure with a powder-coated finish. With VESA patterns to suit most TVs and a quick release feature to access connections and move your TV without having to move the mount, the F6080 is a great mounting solution. SAFE & SECURE - Supports TVs weighing up to 200 lb, with VESA sizes from 100x100 to 1100x600. LOW-PROFILE DESIGN - Allows your TV to sit 1" from the wall. HORIZONTAL ADJUSTMENT - Shift your TV left or right across the wall plate to achieve the ideal viewing position. QUICK-RELEASE CORDS - Quick release cords offer an easy way to detach your TV from the mount. LEVELING SCREWS - Two leveling screws can be adjusted to ensure your TV is perfectly aligned. Customize your home theatre design with the A-107-MPM Full Motion Wall Mount for TVs between 37 and 63 inches. This easy to install mount can extend, tilt and swivel your screen for the perfect viewing angle with three points that each rotate 180 degrees. For a polished look pair this wall mount with your favourite CorLiving TV or component stand. This UL certified stand comes with an integrated level, variety of mounting positions and adjustable mounting holes to set your TV at the perfect height. This CorLiving Full-Motion Tilt and Swivel Wall Mount is ideal for most flat TVs 23"- 55" weighing up to 30kg/66lbs. Four direction tilt ensures optimum viewing angles. VESA compliant adjustable design extends from 88mm on the wall up to 398mm, swivels 90: left and right and tilts up and down +20:~-20:. Built with a solid powder-coated steel frame, this TV mount is built to suit any occasion or entertainment room set up. The M300W is a one-stud solution for those wanting a wide range of viewing angles without taking up too much wall space. Designed for medium-sized TVs, this versatile mount features a heavy-duty steel arm that supports up to 80 pounds, and allows for easy tilt, pan and swivel adjustments. With a clean powder-coated finish and integrated cable management, the M300W is a sleek answer to your TV mounting needs. 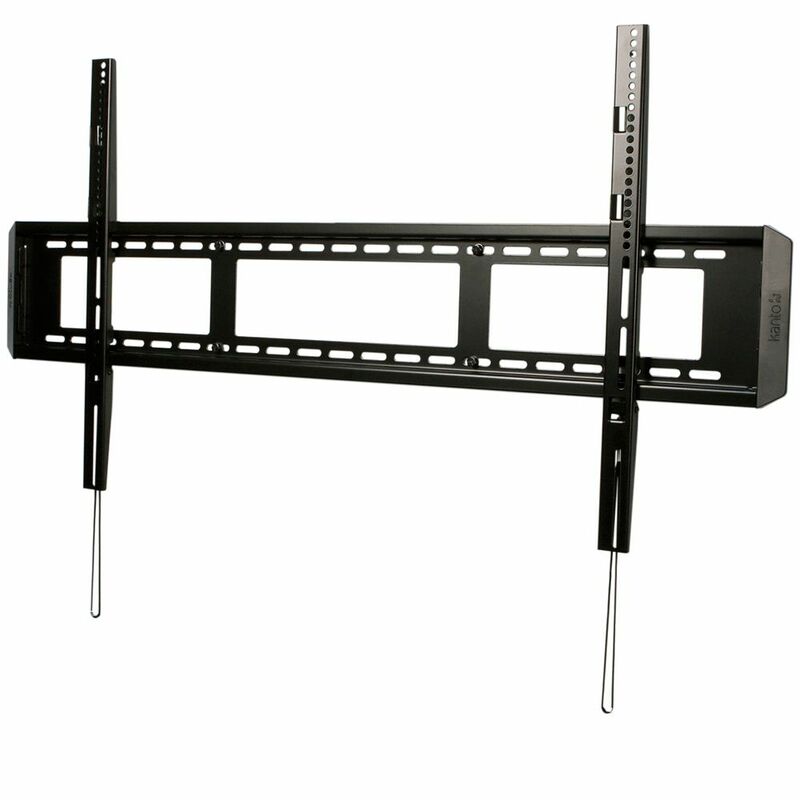 F6080 Fixed Mount for 60-inch to 100-inch TVs Now that you have a TV that is the envy of all your friends, the challenge is to get it up on the wall safely and securely. Introducing the F6080, a fixed mount for flat panel TVs from 60" to 100" that weigh up to 200 pounds. Support is provided by a solid steel infrastructure with a powder-coated finish. With VESA patterns to suit most TVs and a quick release feature to access connections and move your TV without having to move the mount, the F6080 is a great mounting solution.